Full of cozy nooks appointed in wood and leather, Radiator is 14th Street’s newest neighborhood hang. Channeling that era in D.C. history when quality and craftsmanship came standard, Radiator celebrates all that is classic and pretense-free. 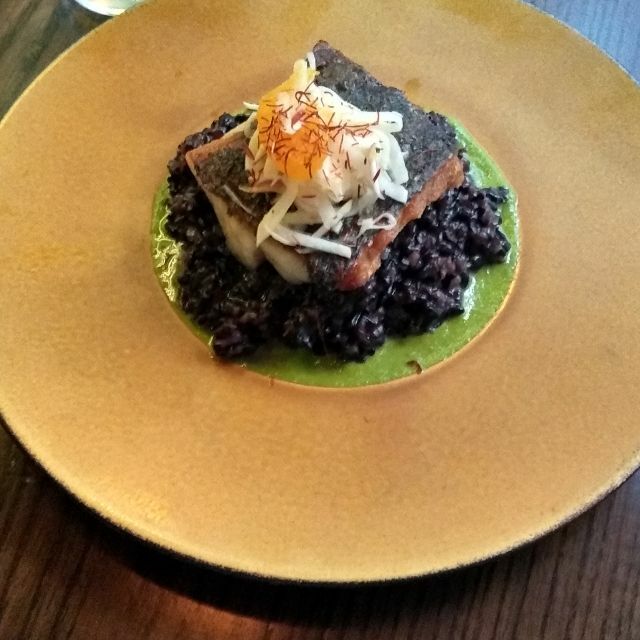 You can taste it in our creative cocktails and in Chef Jonathan Dearden’s tasty global spanning menu. From summertime brunches on the patio to winter evenings spent sipping whiskey over a game of checkers, Radiator’s keeping a place warm for you. I came here for Easter brunch with my family, and after reading reviews was excited to try this place out. I was kind of surprised to find out how hotel-ey the restaurant space felt. The brunch area was in a hotel conference space, and you had to walk through the lobby to get there. We were seated in an area that was off to the side of the main bar area (which seemed to have a nicer atmosphere) and the decor seemed cheap. The food was pretty good. Doughnuts were dense and would recommend to avoid. This place would be really good in a city where exceptional restaurants didn’t abound, and also somewhere where it wasn’t common for hotels to have quality restaurants attached. There are so many other, better places in DC to eat- I’ll look somewhere else next time. Excellent food, drinks and place! I would like to come back! And Recomend it to friends!! The restaurant must be fairly new and we stumbled on it by accident on Open Table. We were pleasantly surprised by the quality of the food and the service. We sat outside and had a wonderful meal. The only misstep was the restaurant setting up a beanbag toss game in the middle of the dining patio, but when we mentioned it after some children began playing with it, the server was quick to move it away. I heard about Radiator because of their ice cream sundae dessert but the appetizers and entrees are also excellent. Excellent service. The fish tacos were too salty. The rest of the food was excellent. This was great all around; I'm happy to become a regular. Very nice vibe. Was cozy. Great music and excellent service. Fabulous food, nice ambiance and incredible service. My wife and I had a wonderful dinner at Radiator on Saturday, 3/2. The pre-dinner cocktail was both beautiful and delicious. We enjoyed the baby gem salad as a starter and had the Impossible meatball bucatini dish and the Rad burger with truffle fries. Both entrees were delicious! Billy, our server, did a fantastic job explaining the menu and being attentive to our table throughout the meal. Innovative food at reasonable prices. Server was very easygoing and knowledgeable. We had some yummy disco fries and this crazy squash carbonara. Way better than pasta could ever do. And thank you for smartly featuring so many Pennsylvania beers. One of the best brunches in the city without a doubt. My server, Ayla, was very helpful and explained everything there was to know about the menu and the food itself. $40 all you can eat and drink? Will definitely be coming back again. We went for Sunday brunch and had a great time! There was a group of 8 of us doing the bottomless (food and drinks) and our waitress was very attentive. All of the food was delicious, the drinks we had were great. I loved that the bottomless drinks included mimosas (with fresh OJ), bloody Mary’s, orange crushes, and gin rickies. I would definitely go back! Had dinner here before seeing a play at the Studio Theatre, which is close by. Nothing spectacular, but pasta with lobster and a burger were both good, and they got us in and out pretty quickly. Great little restaurant and bar tucked away off of 14th Street. They had a great happy hour that made for the perfect post-work Galentine's day get together. Would definitely want to come back for brunch or dinner since the snacks we had were excellent. 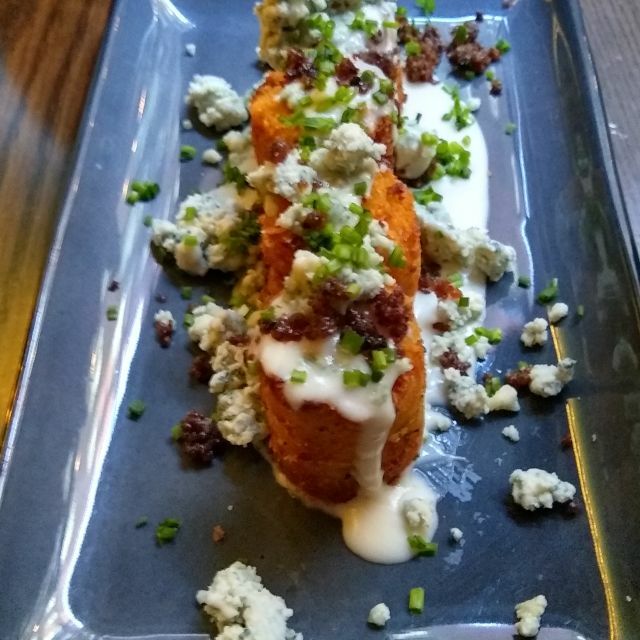 Try the cosmic tater tots or the croquetas! We received friendly service that was attentive, but not interfering. The 24 hr. Braised Short Ribs were excellent. We enjoyed the Kale Salad and Gem Salad. We recommend this restaurant for pre-theater dinner. I loved Radiator. Mary was our server and she was MAGNIFICENT. I forgot my phone and she ran out to bring it. Sometimes the extra mile that people like Mary show make a good place amazing. The bonfire outside and lamb tacos were yum as we're the fries. We were very pleased with Radiator. I typically don't expect much from restaurants in or associated with hotels ("the hotel restaurant.") Radiator was an exception. Welcoming atmosphere, enthusiastic staff, eclectic drink menu. Between the two of us we sampled most of the cocktails- great flavor combinations and we had to try them all. Our server guided us through the menu with accurate descriptions of what "small" and "large" plates were. Really enjoyed the potato gnocchi. 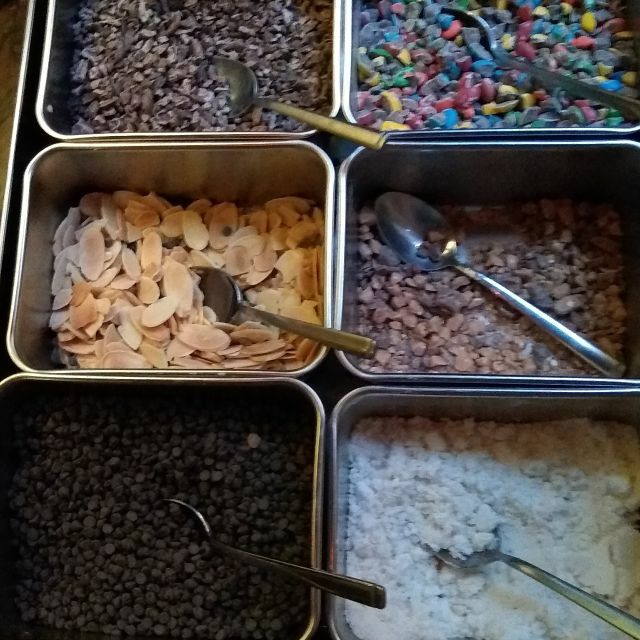 The build your own sundae is a great idea. I want to return when the weather is warmer to try the outdoor seating. Great time here. Very friendly service by Amy and Andy and they went the extra mile to make my wife’s birthday special, particularly with the amazing complimentary dessert! The butternut squash ravioli and vegan meatballs were spectacular! Fun atmosphere. The only recommendation would be to either enhance or lessen the price of the $18 cheese plate - kind of Costco-y cubed cheese and your money is better spent on the many other delicious entrees and cocktails. A perfect place to go before Studio theater too, or for drinks after. We did both! Very accommodating waitstaff. I had had unexpected dental work and they let me have an item off the allowed list. I was surprised at the restrictions on menu items extending beyond those listed on the Travelzoo certificate. It said anything $18 or less, the waitstaff said no entrees or no mains, I don't recall which were off limits. The certificate included two cocktails, and both I had were excellent (helped with the tooth pain, too). This is a cozy chic place near enough to Studio Theater for convenience, just DON'T drive. There is NO parking anywhere near. Three of us were there near the end of Happy hour so we took advantage of the discount. Food was scrumptious. ..an order of gnocchi and two butternut squash ravioli and a shared salad. We sat in the bar, which was quite active and seemed like a popular meeting place. Mike, our server was accommodating and at the same time allowed for a slower pace, since we spent a lot of time talking. Very much appreciated! 2) Food Quality: Their menu descriptions sounded delicious but unfortunately most things were either over cooked or undercooked. The main thing that stood out to me was that their fried chicken was very undercooked and noticeably pink. Their quiche of the day was very over cooked and tasted more of a muffin consistency than eggs. Lastly, we ordered the tater tots twice, the first came out we fresh prosciutto as a base and then the second order came out with the prosciutto noticeable baked/microwaved so it was crispy/over cooked. Overall I would not recommend this place. I went to their ‘80s-themed New Year’s brunch. The food was quite tasty overall, but the experience was underwhelming. The server didn’t understand the all-you-could brunch menu. We were restricted to ordering one tapas-sized dish at a time (many where about 2 bites per dish), and experienced significant delays between “courses.” Our bottomless mimosas where generally empty until we finally complained and asked for a carafe. And the 80s theme seemed haphazard - they even struggled to keep 80s music on throughout brunch. 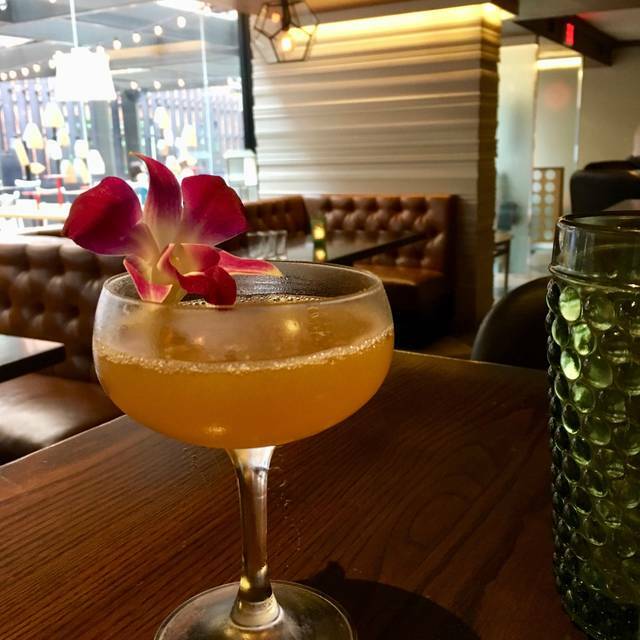 I might try a cocktail here in the future, but there are many better brunch spots in DC! The service was amazing from start to finish - very impressed with our server. The food was hit or miss. I ordered the spicy tuna and the tuna and sauce were delicious, but the rice cake was rubbery, overcooked, and completely void of seasoning. If this was an attempt at a deconstructed spicy tuna roll, they failed. The overpriced cheese platter was a joke. Looked like they bought some cubed cheese from Walmart and then put a scoop of Gorgonzola on it and a few slices of some other hard cheeses, but it was mostly dried out and not tasty. The fig jam was nice, however. The worst by far were the olives - which were covered in a grimy, bitter slime "sauce" that our best guess was an attempt at curry? We ate a few and had to stop - the gritty, grimy slime covering each one was too much to handle without gagging. The cocktails and bacon fat fries were OUTSTANDING. I would recommend going here for happy hour or cocktails, but I would avoid dinner. Visited Radiator with several friends for dinner. Best food I have had in DC. Lots of variety with unique combinations. Conversatioquickly turned to the quality of the dishes served. Highly recommended if you like a cocktail bar with noise levels in which you can hold a conversation and comfortable booths to relax and sample great food. Nice atmosphere for a hotel restaurant. They have games and a cute outdoor patio area (did not use because it was winter but it looked nice!) The Brussels sprouts were amazing. The spaghetti squash carbonara was not my taste- the egg makes it overly creamy and kind of nauseating in my opinion. However my friend did like it. Cute place to meet up for drinks or a small meal. Executive Chef Jonathan Dearden and his staff are amazing!!! The food and service are always outstanding!! Wow! What a nice find tucked away inside the hotel Mason & Rook. Low ceilings and nice decor, has an initimate feel. Good happy hour selection and prices on bar snacks. The drinks from their “signature” list were OK but not spectacular. Our server was attentive and helpful. Alll and all Radiator exceeded expectations. I was not very hungry so I shared a salad (v good) and had 1 small plate (eh). My friend had bucatini and didn’t comment. We were very comfortable eating at the bar and service was excellent. I’d go back if staying at the hotel. Every dish we had was delicious! Great for brunch with friends. Waaaay overpriced. $8 for a pot of coffee, $5 for juice, $30+ for breakfast entrees. Plus an 20% gratuity and an $8 delivery change to a room upstairs. Creative food, service was absent. Bartender was super aloof and unfriendly too. Liked the music they played though. With so many neat places nearby, they’ll have to do better than this. Very much enjoyed our meal. Highly recommend their short ribs, and spaghetti I squash carbonara. So delicious, great options for keto folks.